For boaters in and around New York, the disappearing winters come with an added attraction. And why not? With 7,500 lakes, ponds, and reservoirs, and more than 70,000 miles of rivers and streams to explore, the state of New York is nothing short of a boater’s paradise. But it is not just the enticing waters that draw in crowds; upstate New York has some of the most breathtaking scenic spots that frame the bodies of water beautifully. So before you pull out your boat, take a look at our quick round-up of all those places where the boater in you would be thrilled to explore the most. Here is what you need to know about boating and boat rentals in NYC. A romance between history and nature is what brings the Skaneateles Lake to life. It is one of the Finger Lakes located in central New York and means “long lake” in one of the local Iroquoian languages. It is also the cleanest of the Finger Lakes; in fact, the water here is so clean that the city of Syracuse use it unfiltered! As a boater this means you have to respect the stringent rules that are in place for obvious reasons. Skaneateles Lake is a popular destination for recreational sailing. It has hosted regattas since 1847. 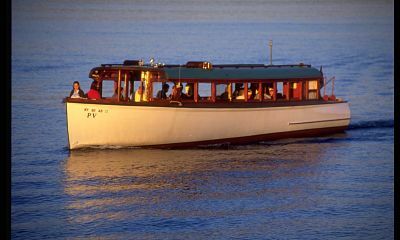 It also hosts the Annual Antique and Classic Boat Show, where a number of classic mahogany boats, restored antique wooden boats, and live music transport you to the bygone days. Hundreds of miles of history, architecture, and scenic waterways wait for you to explore at the Erie Canal National Heritage Corridor. Discover a rich heritage that lives on among the canal communities as you cruise along a leisurely flowing water. One thing to keep in mind while planning a tour of this corridor is the fact that it features a lock system. This means you should factor in both running time and locking. You will need about 20 minutes to pass through each lock. 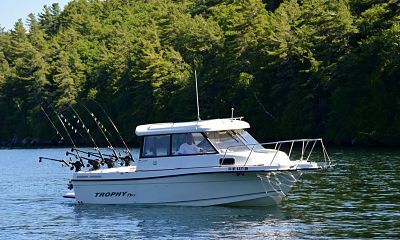 Many on-the-water activities that you may enjoy here include cruising, rowing, canoeing and kayaking, motor boating, and fishing. The interconnected canals, rivers, and lakes are open only from May 1 to November 15. The entry points are spread all across the state; however, it is best to check their website for boating alerts before you make any plans. The Adirondacks in the northeast of upstate New York are a beautiful place to be. For boaters, it means miles of serene waters to be traversed. Begin your expedition at Saranac Lake, a series of interconnected water bodies that stretch across 24 picturesque miles. There are many boat launches at the various lakes in the region. The paddle or ride from Lake Flower to Lower Saranac offers an amazing view of the High Peaks. The half-mile beach along the eastern shoreline of the Middle Saranac Lake is a great place to have fun with your family. The middle is also famous for bass fishing. Upper Saranac Lake is the largest of the Saranac Lake chain. It is not connected to the sister lakes by any navigable water and the only way to access it is by boat launch or Indian Carry by paddle. The Saranac Lake region offers an awesome outing option for the entire family. 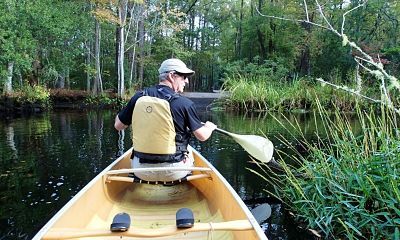 Add to the fun by participating in the three day boat event “90 Miler Adirondack Canoe Classic” on the weekend after Labor Day. In 1791, Thomas Jefferson wrote that Lake George is “the most beautiful water I ever saw.” Even centuries later you would agree with him. It is hard to believe that such a serene place exists just three hours away from New York City’s deluge of yellow cabs and busy crowd. A boater’s dream takes a new flight in this 3-mile wide and 32-mile long beautiful lake. The Adirondack Mountains border the lake, adding to the stately grandeur of the atmosphere. The tranquility of the place belies the tumultuous past that it has witnessed. Being an important fur-trading route, the lake had a significant contribution both in the French and Indian War and the American Revolution. Traces of the half-forgotten past are still securely preserved at the bottom of the lake in the form of shipwrecks and other artifacts. The shoreline is an eclectic coexistence of wilderness, vacation homes, resorts, restaurants, marinas, and camping spots. With historic castles, lighthouses, and quaint cottages, the mystic beauty of Thousand Island’s crystal-clear waters is amplified many times, or you could say, a thousand times. The place offers one of the finest canvasses for pleasure boating. 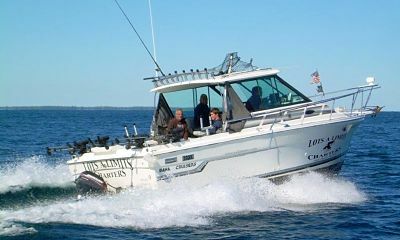 Experience the waterways that run from the eastern edge of Lake Ontario through the St. Lawrence River. If you love fishing, the place has much to offer. There are more than 100 boat launches available in the region. New York will never disappoint an enthusiastic boater. With so many gems spread across its length and breadth, there is something for everyone. Apart from the beautiful lakes, many communities in the Bronx, Manhattan, Brooklyn, Queens, and Staten Island offer free rowing experience to boaters of all skill levels. These groups are mostly driven by social and ecological missions. Many also offer rowing classes for people who are keen on steering towards an exciting experience. Sail though some of the most breathtaking places in the country that reside in New York and make memories that you will treasure forever.